A city operating entirely on clean energy. Sun, wind, biomass or geothermal heat… in theory it’s possible. But what about real life? How do we integrate new energy solutions in existing buildings, systems and, last but not least, the lives of people? 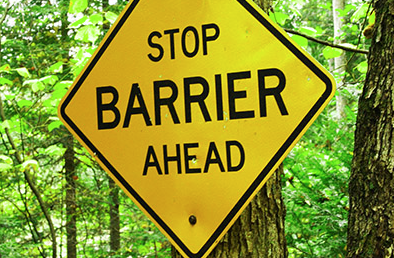 What are the legal and financial barriers? Based on the 20 City-Zen demonstration projects, the Amsterdam Centre for Energy at the University of Amsterdam, DNV GL and La Metro (the City of Grenoble) are working together to analyse the legal and financial issues the energy transition faces. They will publish their first findings in December of this year and a final version will appear in Summer of 2017. To maximise replication to other cities, the lessons learned so far have already been shared with the European Commission’s initiatives Smart Cities Information System and the European Innovation Platform on Smart Cities and Communities. Although the report is still work in progress, Eva Winters (researcher at the Amsterdam Centre for Energy) shared one interesting insight that stood out from the start : the Dutch and French policy context show a large difference in perspective with regard to governance and vision on ‘guiding the transition’. In the Netherlands (Amsterdam), the approach predominantly focuses on how local government can facilitate market parties, including the end users, to bring about the transition. Whereas in France (Grenoble) there is a focus on how the local government can play its role in organising energy supply and infrastructure for citizens, as to lead the transition. This difference illustrates the various views in each country/region/city may have on the position of government in relation to the energy transition, which has a significant impact on many levels. Both approaches have advantages and disadvantages and are also related to cultural diversity. In the Netherlands, more local decision-making and projects development can ensure better fine-tuning with and between citizens. On the other hand, a leading government such as in the case of Grenoble, might prevent sub-optimal project development and use of resources.